All you shoe-loving men out there; you can now feast your eyes on Egoss’s new premium collection of footwear. Get classy, chic, customised footwear to go with all those dapper outfits. The fun part about this brand is that one can customise the kind of shoe you want and flaunt it. Be it juttis, boots or your regular corporate wear, you can trust these guys to make you a fine pair of whatever you wish. You can also engrave your own initials on your shoes with their laser technique. For starters, their design team will work closely with you to build shoes to your liking. Just like cars, shoes also have to sent for regular maintenance. 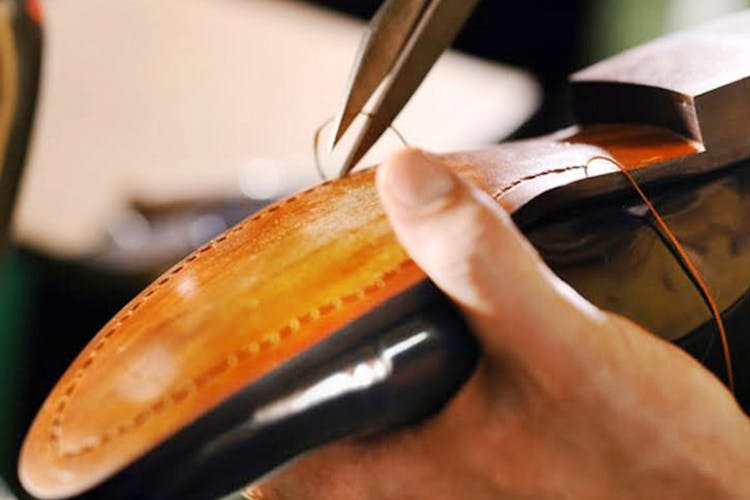 They have a ‘spa and wellness’ centre for your shoes to give them a longer shelf life and any repair work that needs to be done, post purchase. If you’re tired of going from one shop to the other or looking for shoes online that may not fit you, you can always check out Egoss Premium and customise your shoes to whatever you like or want.